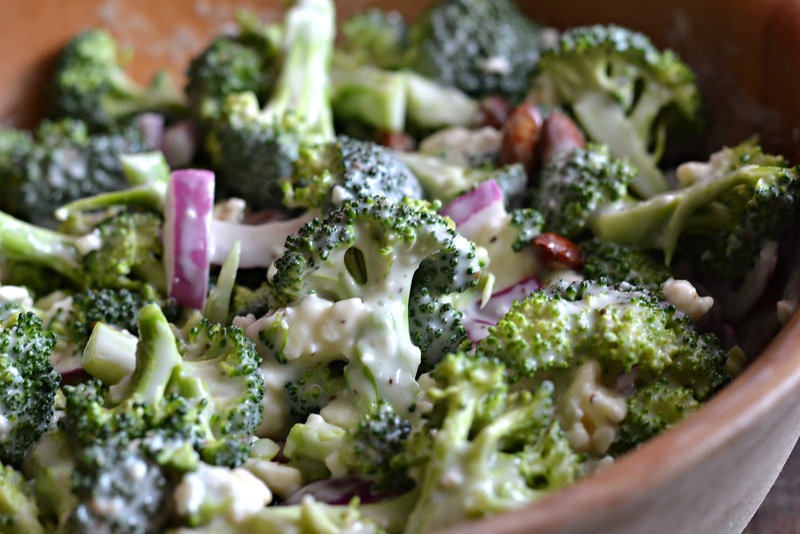 This broccoli salad is a great idea if you really don’t have time to go all out. It’s light, easy to do and tastes great.!. 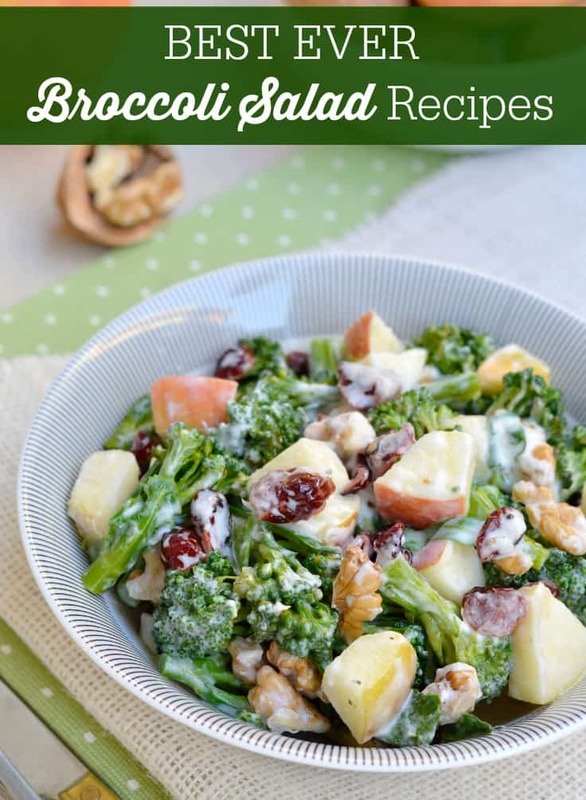 I absolutely love the flavor of the broccoli with bacon, almonds, sunflower seed and in the homemade dressing. An unexpected kind of good. 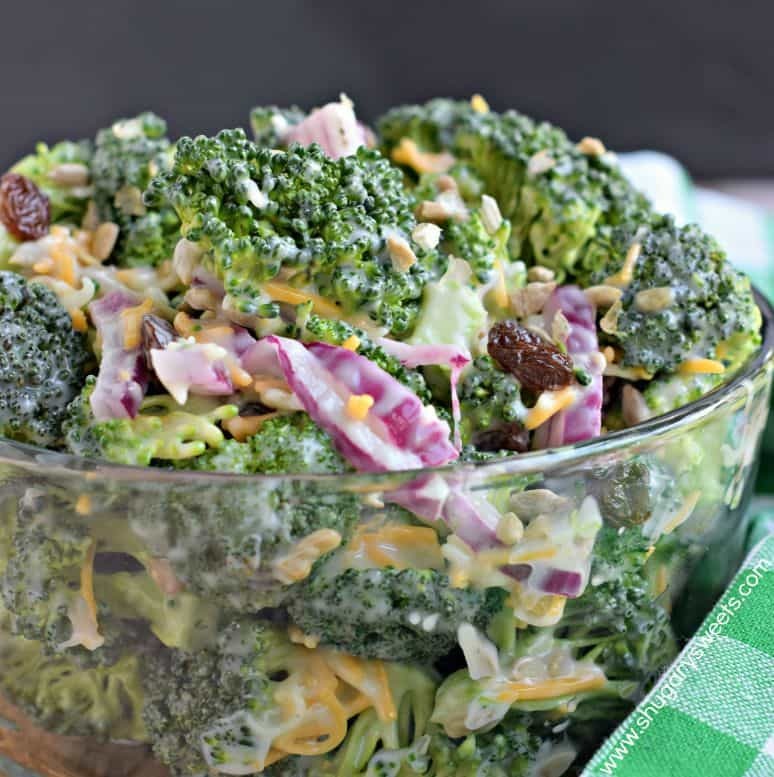 Broccoli Salad is an easy side dish or light lunch or dinner that’s made with broccoli, dried cranberries, bacon, and lots of other yummy ingredients!